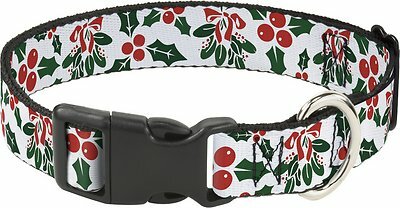 Everyone will want to give your pup a kiss once you clip on this Buckle-Down Holly & Mistletoe Dog Collar. This festive piece is made of a polyester material and is designed with a holly and mistletoe pattern. 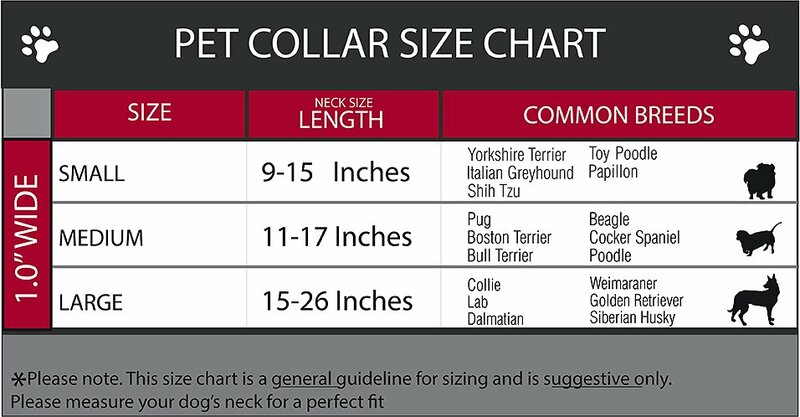 It’s completely adjustable, so you can find the paw-fect fit for your favorite furry friend and it features Buckle-Down’s overengineered plastic buckle, which makes the collar a cinch to put on and take off. 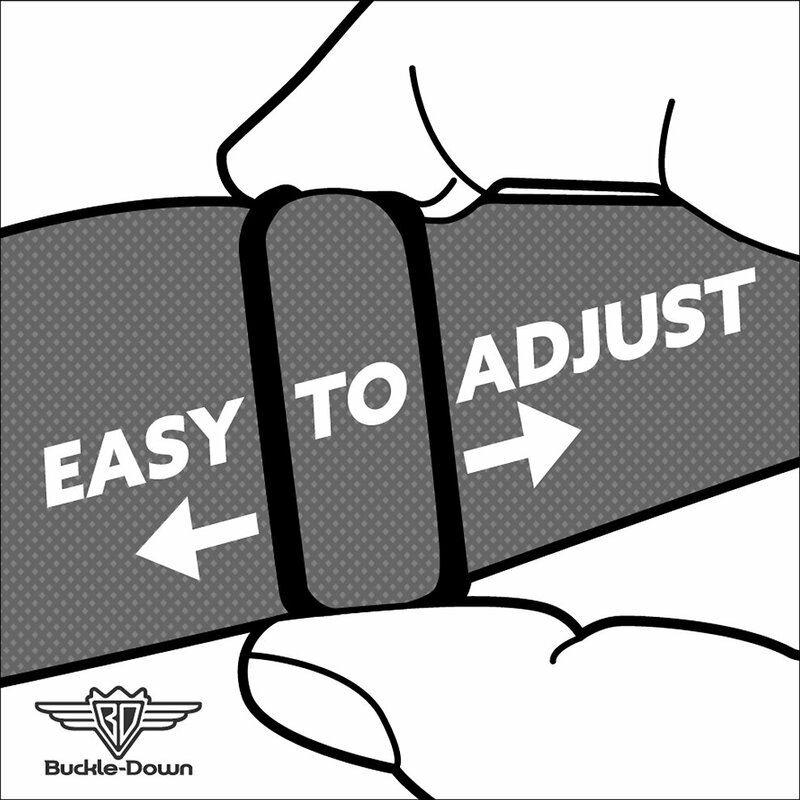 And this Buckle-Down collar comes with a sturdy steel D-ring for easy tag and leash attachment. 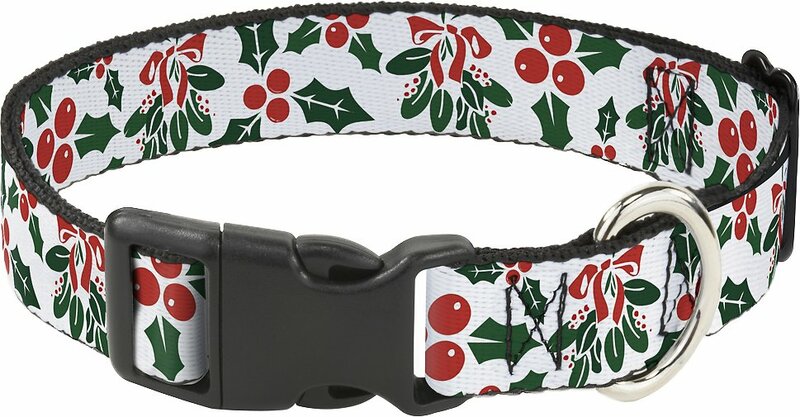 Vibrant and bold holly and mistletoe pattern is paw-fect for the holiday season.